On a visit to the Maritime Museum you will undoubtedly walk past the modelmakers’ bench on the way to the main displays. Many people stop and admire the painstakingly slow and intricate work of the museum’s volunteer model making crew. Seeing the process of sanding, cutting, glueing and painting ship models from scratch is a rare and wonderful experience. Their work – finished and in progress – sits on display behind the bench. 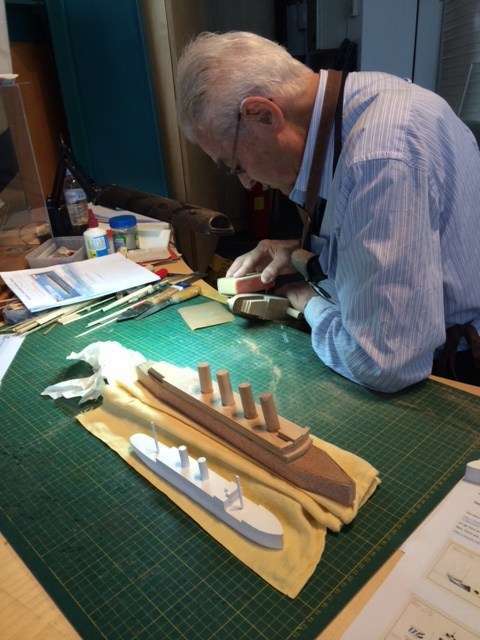 Usually, the modelmakers work on historic wooden ships – famous vessels or their own particular favourites. However at the moment you might see something a little different. During the exhibition War at Sea – The Navy in WWI some of the modelmakers are creating dazzle paint scheme waterline models of WWI ships. Modelmaker Col Gibson has taken to it with gusto – because he has a personal connection to dazzle ships. When I suggested to Col that it would be great to see some of the typical models that were made during the war in order to test the dazzle scheme, he went away and investigated his own family archives. He knew his father had sailed on troopships in the war and Col had inherited his postcards and photographs. 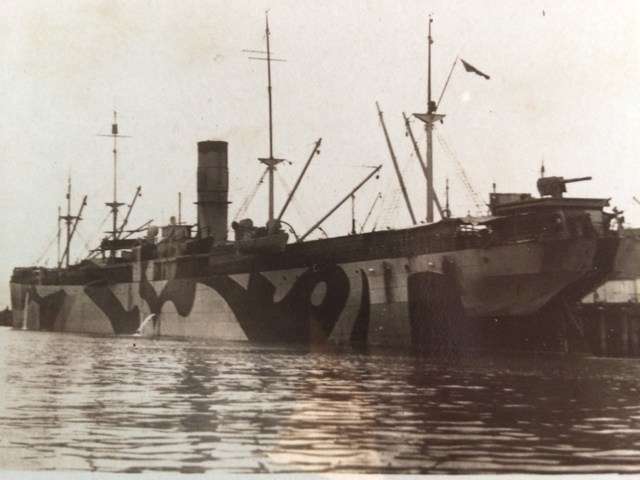 Lo and behold, in Col’s collection of photos was his father’s transport ship – painted in dazzle. Col hadnt even noticed this before he started researching the whole dazzle thing. 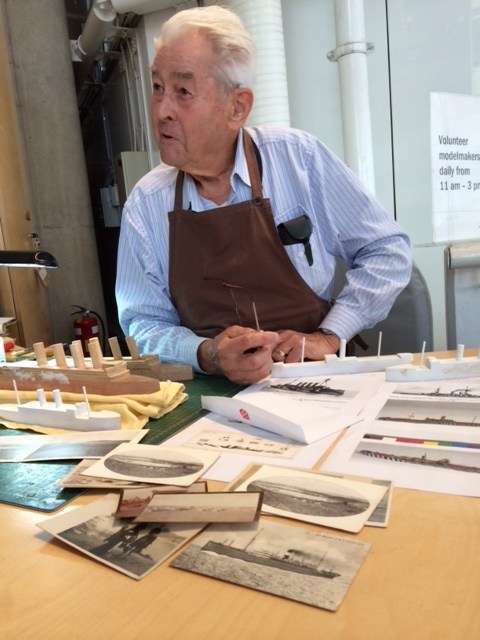 So now Col is making a model of his father’s vessel – as well as a series of others based on the wonderful collection held in the Imperial War Museum. On a visit to the War at Sea – The Navy in WWI, don’t forget to stop in at the modelmaking bench and check out the dazzle ships. As they progress, I promise to provide updates!